Each stage of the foreclosure process has become synonymous with its own unique obstacles and opportunities. However, those investors capable of capitalizing on foreclosure properties will likely find themselves with some of today’s best deals. Despite a relatively healthy housing market that has seen equity return in droves, there are still plenty of deals to be had for savvy investors. If for nothing else, foreclosures will never disappear completely. While we are certainly nowhere near the foreclosure crises we faced a decade ago, there are delinquent homeowners in just about every neighborhood. It’s a sad truth, but a reality, nonetheless: foreclosure properties will never disappear completely. According to RealtyTrac, there were as many as 619,919 properties in U.S. that were in some stage of foreclosure as recently as August. That means there are more than half a million homes that have either defaulted on mortgage payments, been placed up for auction or are currently bank-owned REOs (real estate owned). What’s more, the foreclosure status distribution is pretty even. The majority of those 619,919 properties are going to auction (39.1%). Those that have already been repossessed by the bank (REOs) represent 29.2% of today’s foreclosures, and those that have yet to be foreclosed on (but have received a notice of default) represent the remaining 31.7%. The state of foreclosure properties will have a huge impact on not only how you find them, but also how you acquire them. If you can identify the differences between each, it stands to reason you could find yourself with a great deal. Let me explain. With the majority of today’s delinquent properties expected to go up for auction, I maintain that savvy investors should have better luck finding foreclosure properties at auction than just about anywhere else. After all, real estate is (and always has been) a numbers game. The more opportunities you have to land a deal, the more likely you are to close one — it’s that simple. Whet better way to find foreclosure properties than to go where the majority of them are? Of course, finding foreclosure properties at auction is far from a guarantee; just like any other strategy you implement, landing a property will require a system. To assume you will land your next deal by simply showing up to an auction is a practice in ignorance; you have to be prepared for what’s to come. Without a familiarity for how a respective auction operates or the homes that will be entered, you could potentially do more harm to your business than good. That said, it’s in your best interest to prepare yourself accordingly. Buying a property at auction will require a different strategy than most investors have grown accustom to. Any attempt to bid on a property at auction should be met with due diligence and an acute attention to detail regarding the respective process. For starters, do your homework on the process itself. Who is running it? When do you need to show up? Where will it take place? Perhaps even more importantly, how are bids presented and made? All of these are important to know before you even show up. I also recommend educating yourself on what that money is buying you. Not only should you have an idea of the true market value of the property, but you should also come up with a “walkaway number.” At what point will more bidding ruin the deal? That way, you know how much you can spend on a property and still make it profitable. Remember, there is no point in buying a property at auction if the spreads disappear from aggressive bidding. Provided you have done your homework on the foreclosure properties in the auction and know the logistics, there is still one important thing to understand: homes sold at auction come “as is.” While a savvy bidding strategy will likely net you a great deal, the “as is” moniker may concede with some significant problems. It’s entirely possible for homes sold at auction to come with title issues, superior loan pay offs, liens, squatting tenants, and/or structural damage. With the majority of today’s delinquencies headed to auction, it stands to reason that there will be an inherent degree of competition. After all, each auction will pit you against other interested buyers to drive up the price. That said, auctions aren’t the only way for investors to find and acquire foreclosure properties. In fact, some of the best foreclosure properties, at least in my opinion, aren’t technically foreclosed on, but rather at risk of being foreclosed on, and that means one thing: fewer people know about them. It’s worth noting that there is an entire designation dedicated to homes that are about a month late on their payments. And while these homes aren’t foreclosed, they have received what is known as a notice of default. In other words, the lender has warned the owner that their home is at risk of being repossessed if mortgage obligations aren’t made current. What’s more, those homes that have received said notice are made known to the public. Investors that are able to identify pre-foreclosures at their County Recorder’s Office could uncover what I like to call motivated sellers. If for nothing else, a notice of default suggests the owner is incapable of paying their monthly mortgage, and would benefit immensely from a third party investor. In selling to an investor, respective homeowners could avoid going into foreclosure and crippling their credit score. Investors, on the other hand, could find themselves with a great deal on their hands. I recommend implementing a targeted marketing campaign; one that focuses on the homes you identified in pre-foreclosure. A direct mail campaign, for example, could target distressed homeowners who face two options: lose their home to foreclosure or sell to a third party investor. The latter isn’t perfect by any means, as nobody wants to lose their home, but it is infinitely better than going into foreclosure, losing the house to the bank and ruining their credit history. In the event a delinquent property is repossessed, but fails to sell at auction, it then becomes an REO property, or real estate owned. In this particular scenario, the loan originator (usually the bank) will take sole possession of the property as collateral for the borrower’s inability to pay of the loan. However, banks don’t like holding on to properties any more than borrowers like losing them. Put simply, banks aren’t in the business of holding on to properties that aren’t performing. All the repossessed homes do is sit on the books of banks as non-performing assets — assets that actually end up costing them money to hold. And therein lies the reason so many investors covet REOs: banks can be just as motivated to sell properties as homeowners. Since banks can actually lose money holding properties, there is no reason to think they wouldn’t want to part with them as soon as possible. That means investors that are prepared to deal in REOs could find themselves with a deal they can’t afford to pass up. 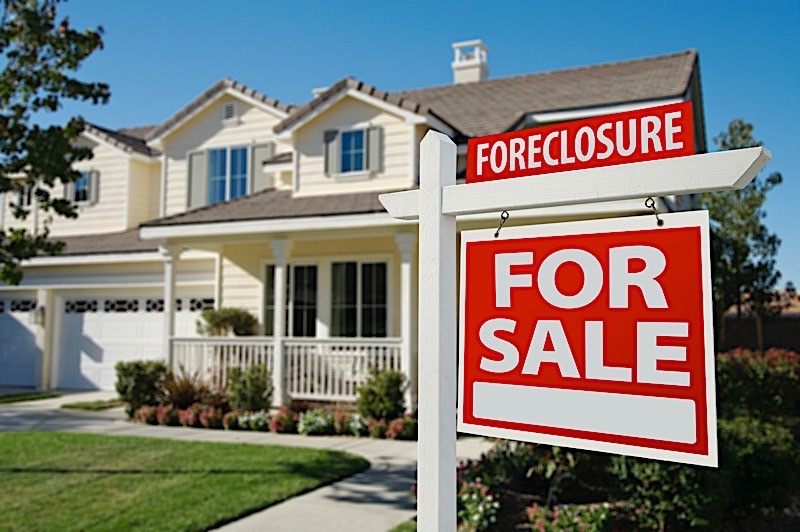 Foreclosure properties, while not as rampant as they once were a decade ago, still pose as a viable acquisition strategy for savvy investors. However, it’s only those investors that know what to do with each property during each stage of the foreclosure process that stand to benefit the most. Each stage of the foreclosure process poses unique opportunities for investors that are equipped to receive them. Not all foreclosure properties are created equal. Each delinquent home must be approached with a tailor-made strategy. Familiarizing yourself with each step in the foreclosure process gives you the best odds of landing a great deal.